I moved to Chennai nine years ago, and right away I had the most wonderful opportunity to meet and make new friends – I volunteered for the very first DaanUtsav. In those years it was called The Joy of Giving Week, and I met people from all walks of life – business leaders, musicians, film stars, government officials, sportspersons, students, stay at home mothers, young entrepreneurs… as we went about trying to evangelise the idea of a nationwide festival of giving, in the week of Gandhi Jayanthi. DaanUtsav is now in its 10th year, and grown exponentially over the years, in terms of cities, events, people participating – all round. For this year’s festival, which starts on Tuesday, October 2nd, I have had the good fortune to volunteer for an event that is deeply inspiring – for its concept, its simplicity and its loftiness of purpose. I want to share it here in the hope that you will be encouraged to volunteer for the execution (a massive logistical exercise) by registering using the link given at the end. 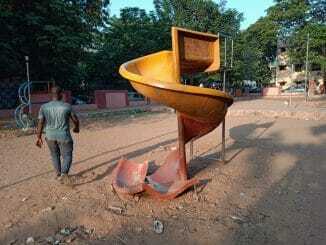 The idea is get the people of Chennai to honour and serve the city’s Cleanliness Champions – the conservancy workers, cleaners, malaria workers and road workers. There are more than 25000 conservancy workers in the city, divided into 15 zones, with each zone having 1000-1200 workers. The event intends to reach out zone wise to these workers and encourage citizens to honour each and every one of them. 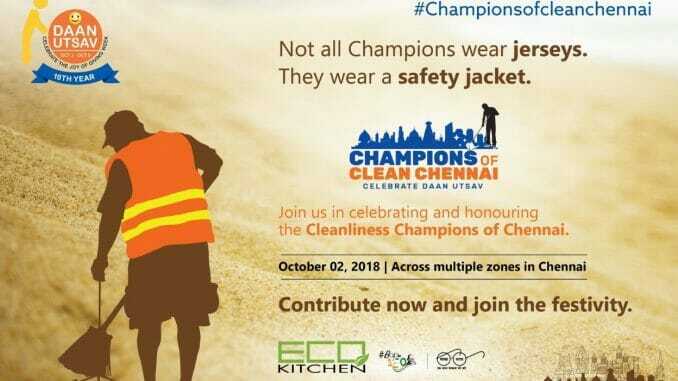 This will be done by serving a festive vegetarian meal ( sit down yelai saappadu in local terminology) and giving each of them a medal for being a Cleanliness Champion of the city we all call home. Wow, I thought to myself. They work in extremely difficult conditions, most of us barely acknowledge them yet they bear our indifference with a smile, and keep toiling hard. This was truly an opportunity to ‘give back’. How did it come about, I wondered! It turns out that at one of the earliest brainstorming meetings for this year’s DaanUtsav, one of the volunteers, Hariharan, who runs a large event management company, told the group that he had recently read about a pious man called Tepramanallur Sivan, popularly known as Annadanam Sivan, who was known to do Anna Dhanam (feeding people) on a very large scale. 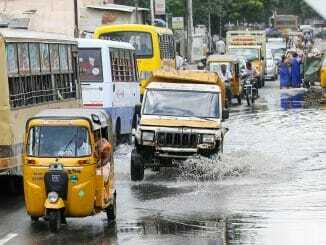 Wouldn’t it be wonderful, mused Hari, if we could feed 1 lakh people in Chennai during DaanUtsav? Aarti Madhusudan, one of the most indefatigable champions of Daanutsav one can ever meet, took this germ of an idea to the next meeting, where P Jayendra, a well known ad film maker, suggested that it would be good to honour and feed the conservancy workers who work so hard to keep Chennai clean.The fact that October 2 is now also celebrated as Swacch Bharat Day, made the idea very appealing. 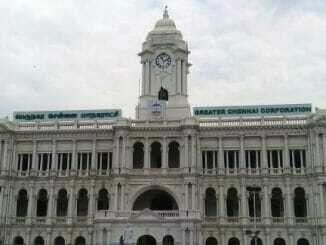 Aarti and a handful of others approached the Greater Chennai Corporation, who supported the idea very enthusiastically. Permissions were granted, zonal in charges were contacted and informed, exact count of workers was called for, and the plan was set in motion. An NGO that works to empower underprivileged women by giving them livelihood options, came forward to prepare the food. Teams of volunteers were formed to go out and ask for donations, corporate and individual. Honouring and serving one worker would cost Rs 350, so donations were sought in multiples of Rs 350. Corporates and individuals have opened their hearts and wallets. As the team dove into the preparations, they realised what a massive logistical exercise this is going to be. GCC officials were also very particular that if a zone was selected then EVERY single worker in that zone must be honoured, bar none. Hence a decision was made to implement the first phase of this initiative in three Zones on October 2. The team will learn from the experience of the coming week, improve upon it and address all the remaining zones in a staggered manner for Deepavali, Pongal and Tamil New Year. The Corporation helped the volunteers by identifying locations such as marriage halls and community halls in each zone, which could be used to feed large numbers of people. Zonal heads have come forward with spontaneous offers of help. One set of volunteers have taken upon themselves the task of designing and procuring the medals for the workers. A cleanliness pledge will be read out on that day by all present, in Tamil and English. If you would like to volunteer on October 2, at Ambattur, Anna Nagar or Adyar zones, please click here to register.